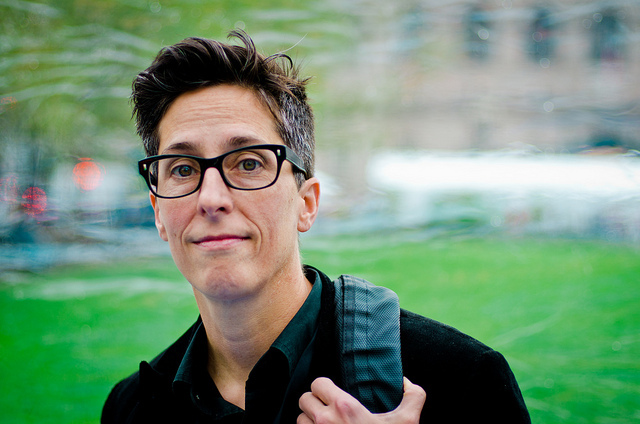 While it’s no secret that the Bechdel Test has its roots in several places, its being featured in Alison Bechdel’s 1985 comics classic, Dykes to Watch Out For, cemented it as being associated with Bechdel. Well now, she’d like to change that. I feel a little bit sheepish about the whole thing, because it’s not like I invented this test or said this is the Bechdel test. It somehow has gotten attributed to me over the years. It’s this weird thing. Like, people actually use it to analyze films to see whether or not they pass that test. It’s interesting that she seems so surprised that it’s caught on the way it has, when she herself was so impressed by the rules that she chose to include them in her classic comic in the first place. Still, it’s cool that its popularity isn’t entirely due to her use of it, and that she wants to give credit where credit is due. Well, we here at The Mary Sue want you to know that we’ve heard you, Ms. Bechdel. We’ll do our best to refer to it as the Bechdel-Wallace test from now on.